Congratulations are in order as a historic family moment was captured on camera and will create memories that last a lifetime. 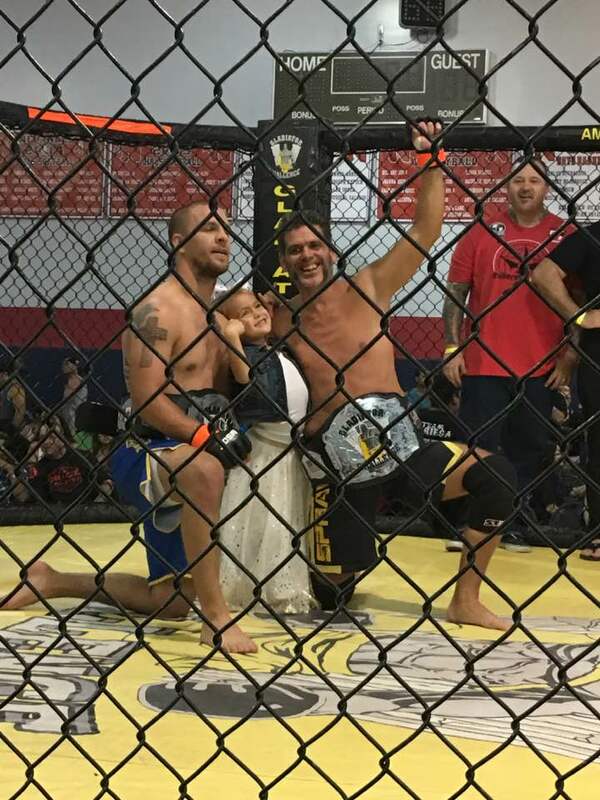 Yesterday, at Gladiator Challenge: Unleashed, a father and son duo each individually picked up wins and titles on the same mixed martial arts fight card. 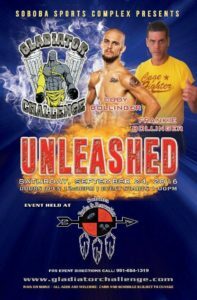 The September 24 event held at the Soboba Sports Complex in San Jacinto, California saw Frankie Bollinger who turns 50 next year and son, Cody, 25, both get wins. Frankie returned to the cage for the first time since 2005, more than 11 years away from the cage. He defeated his opponent via rear-naked choke at 1:15 in the first round for the organization’s 170 lb., belt. His record now sits at 8-3. It was Frankie’s first fight back with Gladiator Challenge since 2003. His son, Cody defeated Lavelle Jafar Lofton, also in the first round at 3:55 via arm-triangle choke submission. With the win Cody took home the 160 lb., hardware. Frankie was a former King of the Cage champion before being diagnosed with Cancer and putting MMA on hold. Cody advances his professional MMA record to 18-6. You may remember Cody from season 18 of the Ultimate Fighter as he was coached by Miesha Tate. Cody Bollinger (left) celebrates his Gladiator Challenge title win with his daughter Taylee, and his father, Frankie Bollinger, (right) who also celebrates his title win on the same night. Watch the two fights below. Next ACC 16 results: Wasweiler, Butcher, Gulfin all crowned champions!